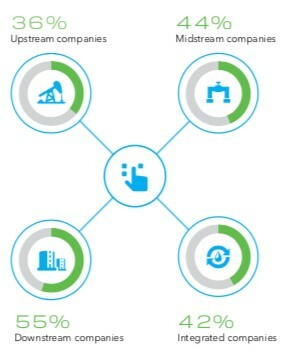 The expansion of upstream oil and gas’s digital business is opening fresh areas for collaboration. A new multi-year agreement between Aberdeen-headquartered Wood Group and IBM to transform asset life cycle management reveals the ever-closer relationship between big tech and the oil and gas industry. The tie-up between Wood, a global leader in the delivery of project, engineering and technical services to energy markets, and IBM -- announced in early May -- combines Wood’s engineering, innovation and industry expertise with Big Blue’s advanced market leading technologies in areas such as artificial intelligence (AI), blockchain and analytics. The aim is to advance operational efficiencies for customers in industrial and energy markets. IBM has a global cloud platform and cognitive solutions company with capabilities in data and analytics, IoT, mobile, blockchain and security that has substantial application potential across the upstream space. Wood and IBM are set to look to develop solutions and explore new ways to apply AI and advanced Platforms to improve productivity and expand digital insight. The reason for focusing on these three areas is that Wood sees a clear value proposition inf integrated digital technology solutions enhanced by data and machine learning. “We are focused on deriving increased knowledge from data to bring insights and improved operational efficiency, enhanced asset integrity and advanced working solutions for our people, our locations, materials and equipment,” the official told Upstream Intelligence. IBM’s offering to oil and gas companies includes its Watson system – a supercomputer combining AI with analytical hardware as a question-answering machine -- which is also being deployed by Australian oil company Woodside Petroleum to analyse 30 years of internal data. Working with Watson, Woodside Energy has built a customised tool that allowed its employees to find detailed answers to highly specific questions—even on remote oil and gas facilities. Watson ingested the equivalent of 38,000 Woodside documents. This would take a human over five years to read. This corpus of knowledge evolved into Willow, Woodside’s cognitive solution powered by Watson on IBM Cloud. Now employees anywhere in the world can access this expertise and locate technical data to make quicker, smarter, more fact-based decisions. According to the companies, Watson has helped reduce the time spent searching for expert knowledge by 75%. IBM is not the only big tech company to have built up close relations with oil and gas companies. Microsoft and oilfield services giant Schlumberger announced a collaboration in September last year intended to digitize the business of oil and gas drilling. This saw the introduction of the DrillPlan digital well construction planning solution, leveraging Microsoft Azure and the Azure Stack hybrid cloud solution along with Microsoft’s collaboration solutions. Through DrillPlan, operators and service companies have access to data and science needed in a single, common system—creating a circular workflow where plans are improved as new data is added, enabling future drilling programs to benefit from prior experience. 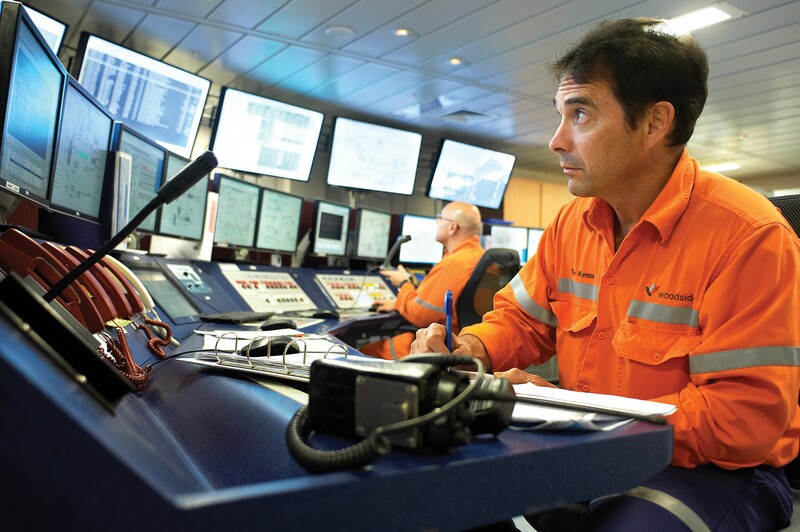 Schlumberger said interoperability with Microsoft Office 365 and Microsoft Teams is generating new levels of collaboration among teams and stakeholders, resulting in a step change in productivity. Scott Guthrie, executive vice president, Cloud and Enterprise at Microsoft Corp, said that as the oil and gas industry continues to evolve and demand more digital capabilities, the partnership with Schlumberger would allow it to remain on the forefront of innovation. Wood itself is also working with other big tech firms. 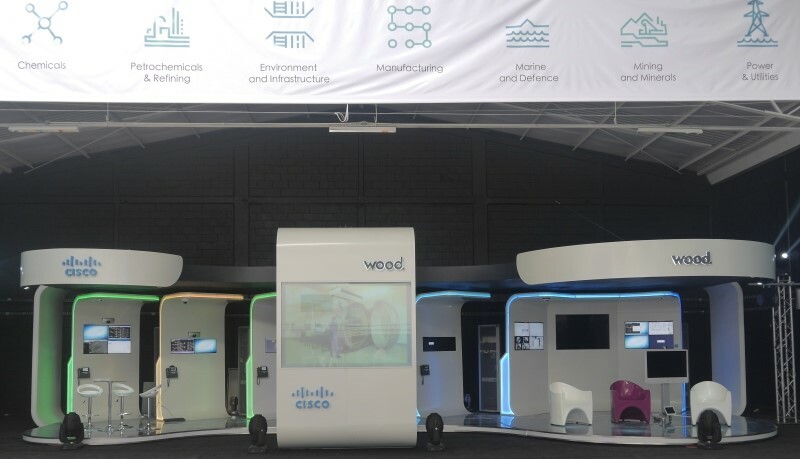 In April 2018, Wood, Cisco and Roue Consultores opened a new oil and gas Advanced Technology Center (ATC) at Wood’s operations center in Naucalpan, Mexico. The new facility will simulate, execute, and manage the operation and maintenance of hydrocarbon transportation systems in a laboratory environment, Wood said in a statement. The Center is open to any local or international company working in the upstream, midstream or downstream oil and gas industry. Isidro Quintana, general director of Cisco México, said the oil and gas Advanced Technology Center would make it possible to realize the technology that helps in the digitization of the industry. Caption: The Oil and Gas Advanced Technology Center (ATC) located in Wood’s operations center in Naucalpan, Estado de Mexico, is a joint initiative with Cisco.